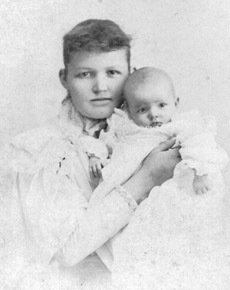 Jasper, as noted in Harris and Mary Ann Brannen's write-up, was the 13th child. He inherited many of his father's good traits: energy, strength, ability, and faith in daily labor to win success. 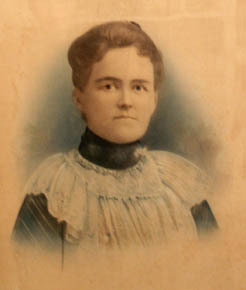 He left Bullock at the age of 19, two years after his mother's death (approximately 1890), and journeyed to Holly, Texas to farm with his brother Charlie. I've been told that when he made the trip over, it was just him and a mule that made the trip. Quite an undertaking in those days! He bought a business and prospered in Crockett, Texas for a while. He married Anna Della Rhoden (born 4/5/1877) on 12/6/1896 . 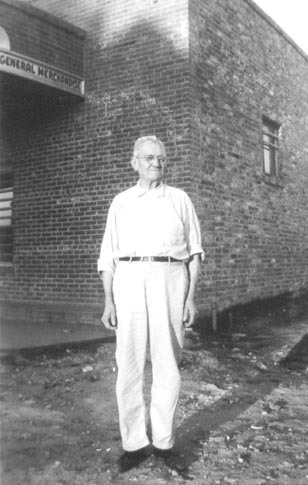 Jasper then farmed for a while, but after Della died (12/1/07) at the young age of 30, he purchased a store in Pennington, Texas. He diversified his business with stock ranching and merchandising. As Quinton Brannen said in his book, Jasper's "success has been extraordinary". He retired in the 40's to promote his children to continue his life's work. I should state here that I remember "Papa Jap" very well from my childhood, although he died around the time I was 5 or so. My main memories of him were the hat he always wore and the cane he always carried. I can never remember him when he didn't have a huge smile and a twinkle in his eye. He lived near downtown Pennington in a large white house with a big porch. He was respected by everyone who knew him. I still picture him sitting in a particular chair there at the family business (Brannen & Walker Farm Supply in Pennington), with that cane and that hat. In 1911, Jasper remarried. 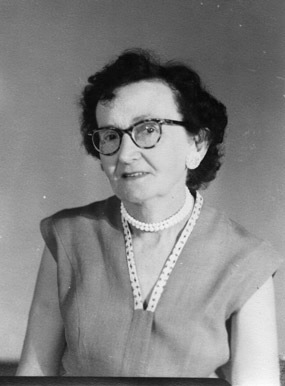 This time to Lucy Dominy (born 7/3/1883). They were active members in the local Baptist Church. They had one son who died before the age of two. Lucy died 8/24/43 and was buried in the Pennington Cemetery. 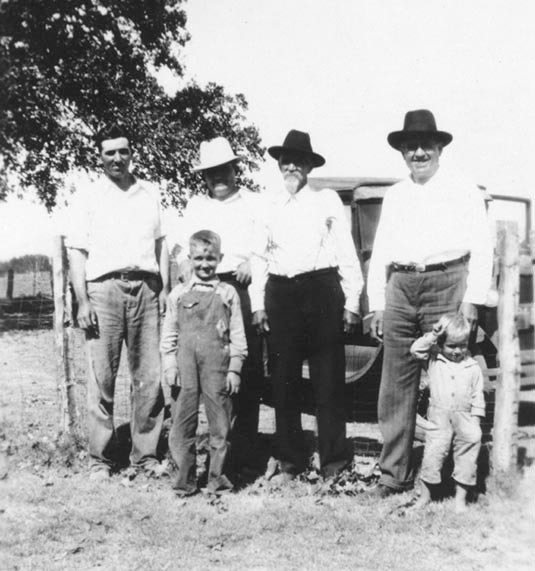 Jasper died 10/27/56 and was buried in the Old English Cemetery, near Kennard, Texas. 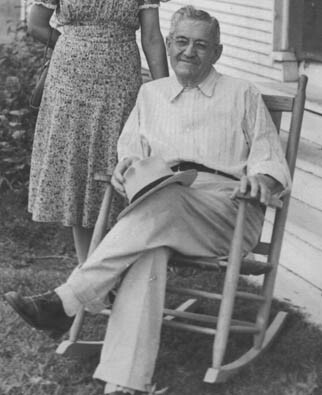 Jasper and Della Brannen had the following four children. Now with the above information, I have tried to fill in a little of the family history up to the birth of my grandfather, including the three generations who preceded him. My hope is to soon be able to fill in the family trees of Minnie Ola, Jasper W., and Calvin Brannen as well. Obviously, there are dozens of branches of the family tree that could be explored, and in fact, in Quinton Brannen's book, he does explore the family pretty well, up to about 1953. Considering that we didn't have the Internet or computers or access to data back then, as we do today, it is amazing that he was able to compile so much information. As you can tell, there are quite a few missing dates in the above listings. From this point on though, I hope to have fairly detailed and accurate information. 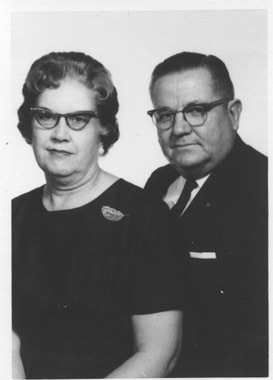 So to read about Joe and Hazel Brannen and their descendents, click on the link below.